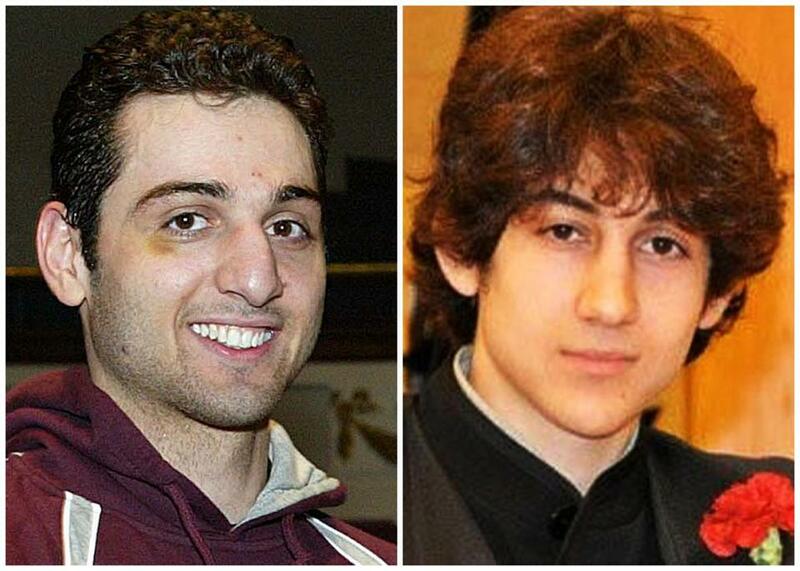 Bombing suspects Tamerlan (left) and Dzhokhar Tsarnaev. WASHINGTON — A key congressional oversight panel demanded “all information possessed by the US government” related to the suspected Boston Marathon bomber who was interviewed by the FBI two years ago but not deemed to be a threat, as accusations of an intelligence failure intensified Sunday. In a letter to Secretary of Homeland Security Janet Napolitano, Director of National Intelligence James R. Clapper, and FBI Director Robert S. Mueller, two top Republicans on the House Homeland Security Committee requested all documentation, including classified reports, related to Tamerlan Tsarnaev, a suspect in the April 15 attack who was killed in a firefight with law enforcement officers early Friday. US officials have confirmed to the Globe that Russia first alerted the FBI to the suspected bomber’s potential radical inclinations, leading to the 2011 investigation. The Republican lawmakers requested the information by this Friday. FBI officials did not respond Sunday to several requests for comment. Many questions remain on what was known about the 26-year-old Cambridge resident, who along with his younger brother, Dzhokhar, 19, are believed to have set off two pressure cooker bombs near Copley Square a week ago, eventually leading to a 20-hour manhunt that shut down the city and ended in the death of Tamerlan and the capture of Dzhokhar. The FBI’s 2011 interview of Tamerlan Tsarnaev, an ethnic Chechen who unlike Dzhokhar was not a US citizen, was not the only time he caught the attention of federal authorities, officials confirmed Sunday. A Department of Homeland Security official in Washington said Tsarnaev’s application for citizenship was reviewed beginning in September 2012. While the review was still incomplete when he was killed, the official said, questions were raised about his “moral character” based on a domestic violence allegation and the fact that the FBI questioned him for possible involvement in terrorism in 2011. But the official, who was not authorized to speak publicly, stressed that the agency, established following the 9/11 attacks, had no reason to believe Tsarnaev was involved in terrorist activities because the FBI did not turn up any evidence. He added that the older brother’s six-month visit last year to Russia, during which officials speculated he may have been trained or influenced by terrorist groups in the restive provinces of Dagestan or neighboring Chechnya, looms very large in the ongoing probe. It is unclear whether any federal officials questioned Tsarnaev after that trip. Others were openly critical of the FBI handling of the case on Sunday. Tsarnaev reportedly posted, among other links, the sermons of a radical imam on his YouTube page. Others, however, cautioned against jumping to such conclusions so early in the probe. “It is way too premature to make a judgment,” said retired Army Colonel Steven Bucci, who served as a top adviser to Secretary of Defense Donald Rumsfeld after the 2001 terrorist attacks. McCaul and King, in their letter to top counterterrorism officials in the Obama administration, also expressed concern that if the FBI missed something that could have prevented the Boston attack, it could be a symptom of a broader gap in security. Alawki, a Yemeni-American imam and a leader of Al Qaeda in the Arabian Peninsula, was killed in a US drone attack in Yemen in 2011. Headley is a Pakistani-American who conspired to attack targets in Chicago and was arrested in 2009. Bledsoe is a Muslim convert who opened fire on an Army recruiting station in Arkansas in 2009, killing one and wounding another. Hassan is standing trial in a military court for killing 13 of his fellow soldiers in Fort Hood, Texas, the same year. Abdulmutallab, the Nigerian “underwear bomber,” tried to blow up a US airline on Christmas Day 2009.